California wine country runs the whole length of the state, from San Diego to Northern Mendocino. It’s beauty is unparalleled, and offers a wide array for wines and wine tasting experiences. From the bustling roads and wineries of the Napa Valley, to quiet, intimate experiences of Mendocino, you can find what you are looking for here. 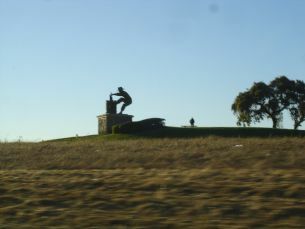 The Napa Valley is one of the most widely recognized wine regions in the world. Renowned for both wine and food, the Napa Valley is a must see for any wine lover. Mendocino County is California's northern most wine region. 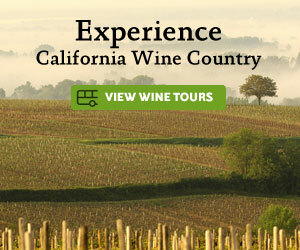 It's beautiful scenery and excellent wineries makes it a popular destination for wine tours and vacations. Visiting Monterey County wine country is a little more challenging than in other regions because they are scattered over a large area. Nevertheless, the region's natural beauty and affinity for producing certain varietals makes it a premiere destination for wine tours. Paso Robles wineries are located primarily on the eastern side of central California's coastal mountain range. Few regions are more exciting and dynamic. San Francisco is one of California's most popular vacation destinations. Although it is only 45 minutes from Napa Valley and Sonoma, it's wine country is both unique and beautiful. Santa Barbara wineries were founded by Spanish Missionaries, who planted the first grapes in the region. The number of Santa Barbara wineries are growing at a very fast rate, which makes it a perfect time to take a wine tour of the region. Located just a short drive from San Diego and Los Angeles, Temecula is the most popular wine touring destination in southern California.